Urgentwritinghelp.com is started by a team of certified tutors. Realising the fact that it may not be possible for students to complete the assignment / homework, due to either lack of time or lack of knowledge, we came into existence. Urgentwritinghelp team has been serving students across the globe for homework / assignment need for over a decade. We guarantee Original work (plagiarism free assignment) within deadline. There are many organisations which are not fair with prices and charge differentially from students. However to keep our price fair and transparent, we have developed this price calculator. However this shows approximate price. 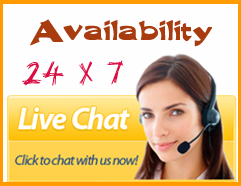 Chat with the team to get exact price details for your particular assignment. Price starting at just $7. Based on 28, 430 testimonials till Dec, 2012- we are best assignment help / homework help service providers at such reasonable price across the globe. We provide homework help / assignment help for all levels and universities starting from junior school to PHD level. With a huge tutor base, we ensure best work within deadline. Fair Price- Lowest price and best quality. I needed to submit a Business plan for automated traffic system. I was not sure which models to be used and how to go about research and questionnaire. I submitted my requirement and got instant response. Great team, great efforts, great job. A + Work within my mentioned deadline . I messed with a research paper and essay. Failed in and just had 1 more attempt. I needed a reliable source and landed to this guys. I not just passed rather they help me show great results in my score card. Its more than 2 years that am getting various writing help from these guys. They never missed a single deadline. Very cooperative team with highly qualified and experienced experts.